How to give the child a "Pyrantel"
"Phenibut" is a nootropic drug with anksioliticheskim properties. It is prescribed for the treatment of neuroses and neurosis-like States in children and adults. 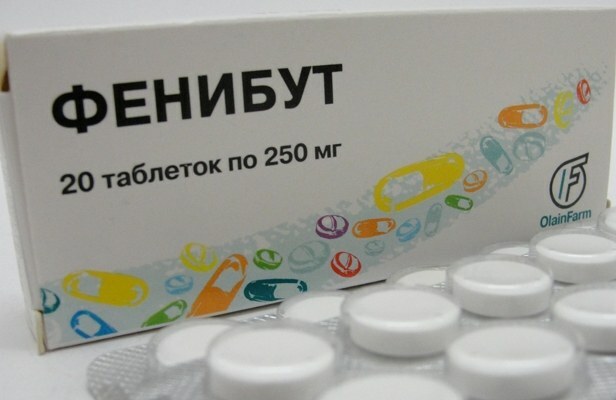 "Phenibut" prescribe to children with asthenic, anxious-neurotic States, fear, anxiety, obsessive-compulsive disorder, psychopathy, stuttering, enuresis, urinary retention with myelodysplasia, the syndrome of attention disorders with hyperactivity. The drug has antiplatelet, sedative, antioxidant and stimulating effect. It helps to improve the functional state of the brain due to the normalization of metabolism in tissues and effect on blood circulation. "Phenibut" contributes to the disappearance or reduction of feelings of anxiety, fear, anxiety, normalizes sleep, reduces the symptoms of fatigue, enhances mental performance. It improves psychological parameters (attention, memory, accuracy and speed of sensory-motor reactions), helps to improve the condition of children with motor and speech disorders. The dose of the drug needs to find a doctor, individually in each case. Assigns "Phenibut" only pediatric neurologist. The drug given to the child, regardless of the meal. Children up to 8 years appoint 50-100 mg of the medication three times a day. Children from 8 to 14 years give 250 mg means three times a day. The maximum daily dose for children up to 8 years of age is 0.15 g, for children from 8 to 14 years - 0.3 g. Duration of medication is determined by your doctor. When urinary retention functional origin children from 3 to 10 years give 20 mg twice a day, children from 10 years - 20 mg three times a day. In cases of urinary retention caused by myelodysplasia, children from 3 to 10 years are given for 20 mg three times a day, children aged 11 to 15 years - 50 mg twice a day, adolescents from 15 years of age - 50 mg three times a day. The course of the drug is 4-6 weeks. "Phenibut" contraindicated in case of hypersensitivity to the active substance. With caution the drug is used for erosive jazvenik lesions of the gastrointestinal tract, liver failure. The remedy may cause the following side effects: nausea, irritability, drowsiness, dizziness, headache, skin rash, itching. While the use of "Phenibut" enhances the action of analgesics, hypnotics, antiepileptic and antipsychotic medications. Prolonged use should be monitored liver and picture peripheral blood.